Grand Staircase Escalante National Monument is about an hour from Bryce Canyon. Grand Staircase-Escalante National Monument near Escalante along Scenic Byway 12. It is a relatively new designated national monument back in President Clinton’s last term in office. The National Monument got its name Grand Staircase because it features cliffs that appear as stairs as they descend from the Aquarius Plateau to the Grand Canyon. Located about a 30 minute drive from Bryce Canyon is. Kodachrome Basin. The scenery at Kodachrome Basin is dominated by 67 monolithic stone spires called sedimentary pipes. In addition to hiking, horseback riding (guided horseback rides are available at the park with Red Canyon Trail Rides.) and mountain biking in the park, visitors should plan to visit nearby Grosvenor Arch. This intricate double arch, located just 10 miles southeast of the park, is one of the most impressive in the state. It’s a great hike that showcases the beauty of the hoodoos of the park. 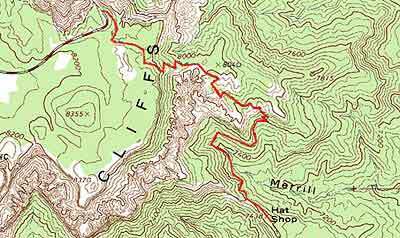 The hike is about eight miles and will take the average hiker about three and a half hours to four hours. What makes this trail a little more strenuous is the 1.7mile climb out at the end (we walked clockwise from Sunrise Point). The climb is gradual but constant. The views and sights are amazing and the trail is easy to follow. Well maintained. About 13.5km (5.7m) all up. Fairyland Loop Trail begins at Fairyland Point, at the northern portion of the park, and takes you through spectacular hoodoos and scenery along the rim. The Fairyland Loop hike is not as crowded as other trails in Bryce Canyon National Park, which adds to it’s appeal. Bryce Canyon is, in the strictest sense of the word, unique. Bryce Canyon has arches and hoodoos. Why not bridges too? A horizontal rock connects itself to two, large spires to form Tower Bridge. Tower Bridge Trail is considered a “moderate hike” due to the drop in elevation from the rim down to Tower Bridge site (950 ft/290 m). Tower Bridge Trail is an enchanted hike amid the red hoodoos of Bryce Canyon National Park. Although listed as a “Moderate” hike, the Hat Shop Trail should be listed as “Moderately Difficult”. With a steep descent, visitors with “bad knees” should be extra careful. The hike back to the top is considered an accomplishment in itself. During winter, the Hat Shop Trail is easily listed in the “Very Difficult” category and is not advised unless very well prepared. The Mossy Cave Trail in Bryce Canyon is an easy hike, perfect for kids and adults alike to see hoodoos up close. The Mossy Cave Trail is a 0.8 mile path in Bryce Canyon National Park, following a stream to a fern-fringed alcove and a powerful waterfall. An easy stroll in Bryce next to a creek that brings you past hoodoos, to a waterfall, and then to a mossy cave where icicles hang in the shady places. If you feel adventurous, climb to the hole in the wall above the falls. 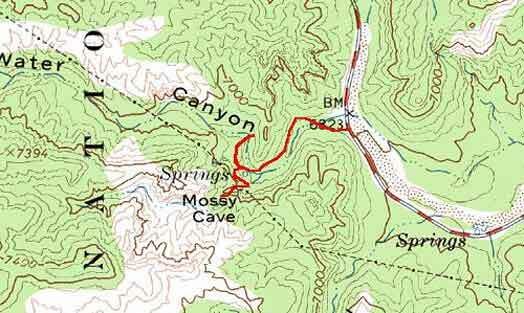 Mossy Cave is the trail you want to go to if you have a very short time and want to do a little hike. Or, if you have guests or kids that do not like to break a sweat on a hike, this is a perfect little stroll where you can get the whole below canyon experience without the hike down into the canyon. Tips: This is a short and easy hike. You can bring nothing at all and be fine. Bring some water and a snack though. And apply some sunscreen as you are high in altitude and the sun’s rays are strong. When you see the dark clouds gathering or hear thunder in the distance, don’t ignore it. Here at Bryce Canyon, lightning has claimed the lives of four visitors in the past 23 years. Six other visitors have been seriously injured by lightning strikes. April thru October are the months when lighting storms occur with July and August being the most active months. On average in the U.S., lightning kills 51 people and injures hundreds more. Although most lightning victims survive, such as Ranger Roy, a National Park Service Ranger that has the record for being zapped the most by lightning. Ranger Roy “Dooms” Sullivan was struck by lightning a total of 7 times over 40 years. He lived through every single strike. People struck by lightning often report a variety of long-term, debilitating symptoms. We don’t want to discourage or scare any of our visitors from enjoying one of the most beautiful and scenic settings on Earth, but being safe and using common sense is the best advice. Thor’s Hammer is one of the most famous rock formations in Bryce Canyon. 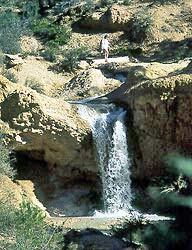 It is visible along the Navajo Trail. If this is the only thing you want to see on the trail (don’t know why it would be though) it is just a short hike. Navajo Trail, the most popular trail in Bryce Canyon National Park, begins at Sunset Point and travels down into the main amphitheater and thru Wall Street, our only slot canyon at Bryce. Hike into the canyon to experience Bryce Canyon’s famous hoodoos; the best way to see the amazing hoodoos up close. The Navajo Trail, Queens Garden Trail and Rim Trail combine to form a short loop through Bryce Amphitheater. The Navajo Trail/Queens Garden loop trail in Bryce Canyon National Park is a trail no lover of Wild Spaces should miss. The National Park Service is so sure of the quality of this hike, that they’ve posted a sign at the beginning of the Queen’s Garden portion of the loop which names this trail as “The Best Three Mile Hike in the World”. We’ve not found a better one. This world famous hike is actually made up of a portion of the Queen’s Garden Trail and a section of the Navajo loop trail. Either hike is itself well worth your time, but combining the two is an amazing hiking experience. 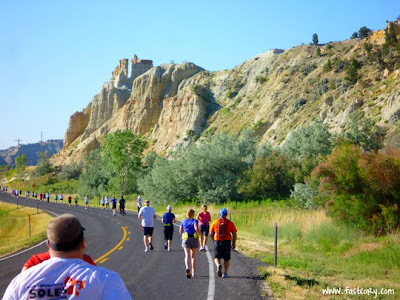 If you ran in the Bryce Canyon Half Marathon last week congrats!! One of our guests was telling us that post run is as important to the training prior to the event. In the Days After: Continue to hydrate. Massage sore muscles with your hands or a foam roller for five minutes each day. If you’re really suffering, ask your doctor whether anti-inflammatory medication might help. Every other day, do this gentle workout to encourage blood flow to recovering muscles: Walk for 10 minutes, run a few seconds each minute for 10 to 20 minutes, and finish with 10 minutes of walking. In the Weeks After: Gradually add running time to your every-other-day workouts until you’re back to where you were before the race. On nonrunning days, walk or do gentle cross-training. If you are eager to participate in another race, wait at least three weeks before doing a 5-K, and four to six weeks before doing anything longer.